Characteristic value describing the plastic properties of a mold material under dynamic stresses. A cylindrical test specimen falls on a round anvil from a height of 1.84m. Upon the impact, there is an abrupt stress, the test specimen falls apart and/or is deformed. 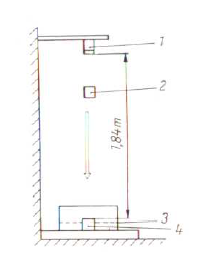 The mold material percentage which does not fall through the sieve with a mesh width of 12 x 12mm by which the anvil is surrounded represents the shatter index value (Fig. 1 and 2). See also Demolding characteristic.